Many of our Fiat customers are unaware about the Motability Scheme and what it takes to qualify for the exclusive benefits that come with it. For example, did you know that mental health conditions also come under the Scheme? Our Motability experts are on hand to provide comprehensive advice and guidance, taking the stress and confusion out of the process by guiding you through the process, step-by-step. If you receive the War Pensioners’ Mobility Supplement (WPMS) or the Higher Rate Mobility Component of the Disability Living Allowance (HRMCDLA) as part of your disability benefits, you can apply to join the Motability scheme. You can lease a brand new Fiat vehicle from Snows for three years, in exchange for part – or all – of your weekly mobility benefit. 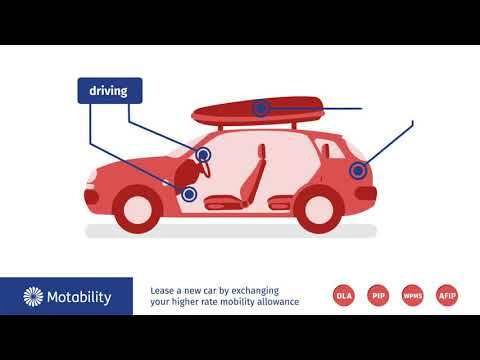 Prices are set by Motability, but we can offer incentives or sweeteners to you directly. Many Fiat models do not require an Advanced Payment, although for some models you may find you need to contribute something towards the cost at the start. The Motability scheme is a vitally important service that enables motorists with disabilities, or parents of disabled children, to access the latest and most reliable vehicles. Here at Snows Fiat in Newport on the Isle of Wight, Farlington in Portsmouth, Sarisbury Green and Millbrook, Southampton, you can choose from a wide range of models as part of the Motability Scheme. All our vehicles are available with alterations and customisations to be made FREE OF CHARGE. If your disability prevents you from driving, or you are too young to drive, you can nominate two people to drive on your behalf – your partner or parents, for instance. In addition to a brand new car, your payments also include the cost of any road tax, servicing, tyres and breakdown cover, plus comprehensive motor insurance. After three years, simply hand your car back and choose a new one. If you require adaptations to make access or driving the car easier for you, these are available – many at no additional cost. Get in touch with one of our showrooms where we can discuss your requirements and happily take you through everything in fine detail, including any responsibilities you have as a member of the scheme.